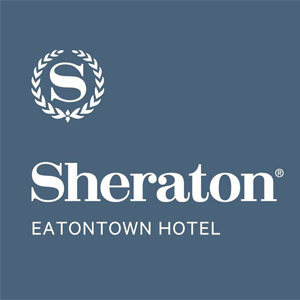 Say “I do” at the Sheraton Eatontown Hotel and witness your wedding dreams become a reality. Our newly renovated Grand and Regal Ballrooms can host up to 350 guests with a large dance floor, and feature spectacular infinity chandeliers, starlit atriums, rich natural textures and shimmering metallics. Wedding room blocks are also available across our 208 renovated guest rooms and suites. Situated in historic Monmouth County, New Jersey, our hotel is just minutes away from the Garden State Parkway, Route 18, the Jersey Shore and is easily accessible from Northern New Jersey. Showcasing 5,700 square feet of versatile venue space, including our expansive Grand and Regal Ballrooms, we offer a refined setting for your New Jersey nuptials. Our professional staff will work with you every step of the way to ensure that your wedding is absolutely perfect. From customizing your venue to creating a one-of-a-kind menu, no detail will be overlooked.